This year, the Middle School went to the Scottish Highlands as part of their programme, along with Mrs Nikyuluw, Ms Richmond and Mr Robbins. The five-day course, run by the Outward Bounds Trust, concentrated on developing a number of skills such as decision-making, leadership and communication, as well as linking classwork on climate change, the environment and sustainability with activities in the field. 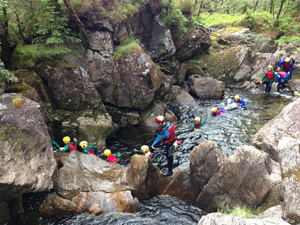 Alongside their serious studies, students got wet and muddy as they went gorge walking, canoed on the picturesque lochs, overcame obstacle courses and sped through the woods on zip-wires – but not before first taking a wee dip in Loch Eil! 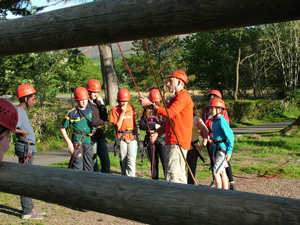 They also had the opportunity to take part in rock climbing on the slopes of Britain’s highest mountain – Ben Nevis – and camp on the shores of the Loch by firelight. 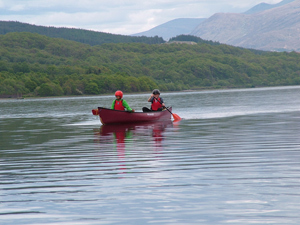 The students set daily personal targets, which were reviewed by the course instructors back in the Highland Lodge that resides on the shores of the Loch. The students enjoyed splendid views of the Scottish countryside and even caught sight of the train we all know as the Hogwarts Express as it passed by. 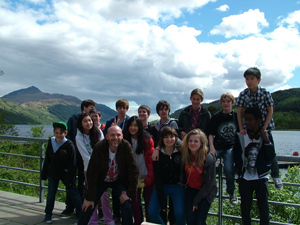 You can find more student reflections, details about the trip, photographs, videos and follow-up work on the students’ blog – thescottishtripbm.weebly.com (password: locheil).